Professor Lin Ma was Senior Advisor of the Board of Trustees of Shaw College and was Professor of Biochemistry (1972–1978) and Vice-Chancellor (1978–1987) of The Chinese University of Hong Kong; he was Emeritus Professor of Biochemistry and published largely on protein chemistry. 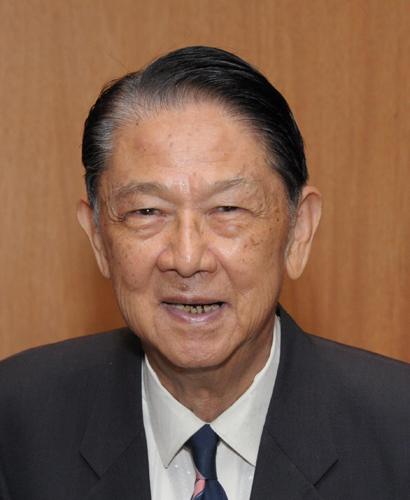 Professor Ma also served as Chairman of the Board of Trustees of Shaw College, The Chinese University of Hong Kong (1987–2011) since its inauguration. He received honours from Great Britain, Japan and Germany, and honorary degrees from several international universities as well as from universities in Hong Kong, Macau and China. He was the Convenor of two sub-groups of the Hong Kong Basic Law Drafting Committee: (1) Education, Science and Arts, and (2) Hong Kong Flag and Emblem. Professor Ma passed away peacefully at Prince of Wales Hospital in Hong Kong on 16 October 2017, aged 93.